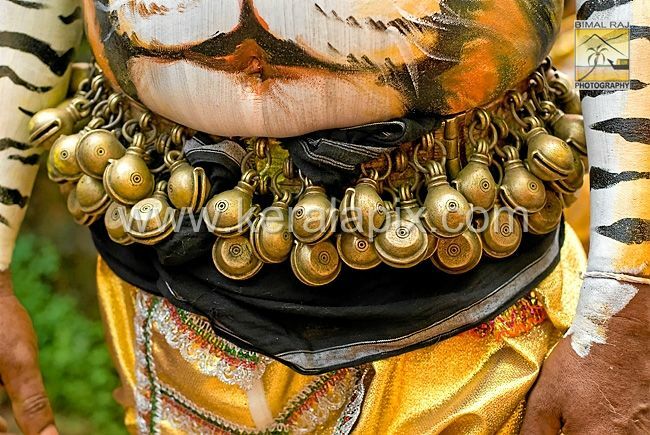 Few of the Paraphernalia used in Pulikali folk art. 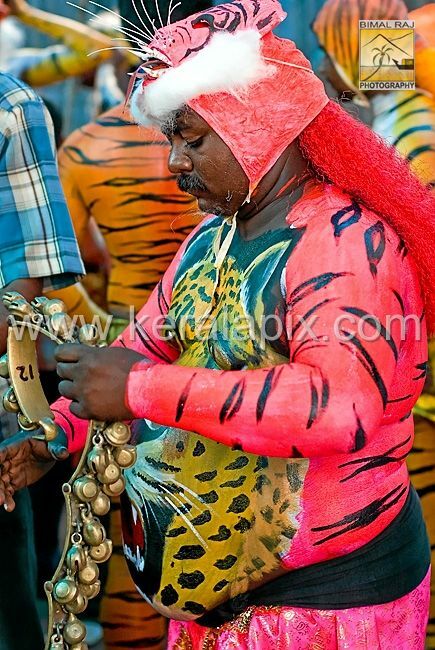 A pink panther getting ready to perform. 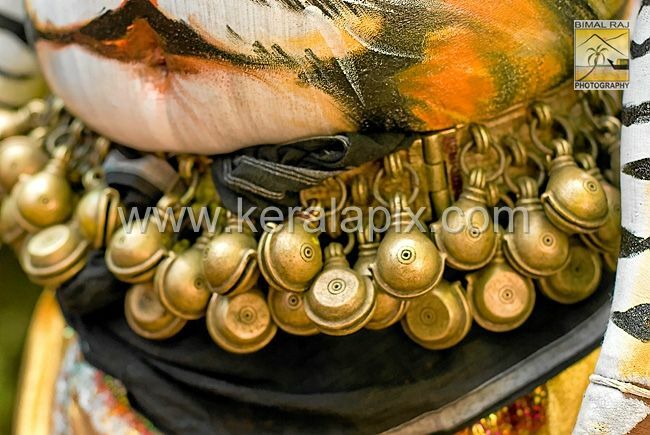 Traditionally this belt like ornament is used by the temple oracles or Komarams in Kerala. 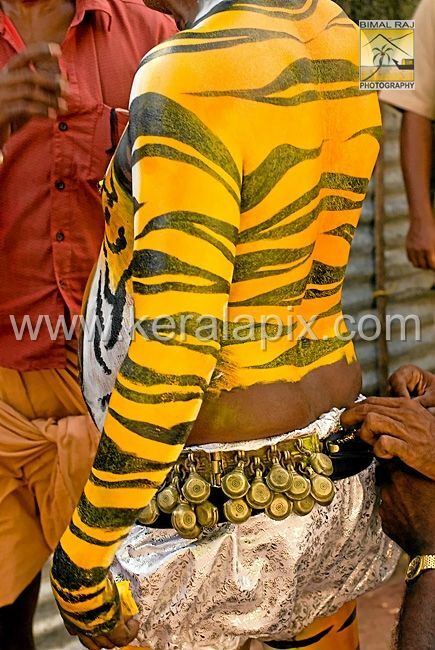 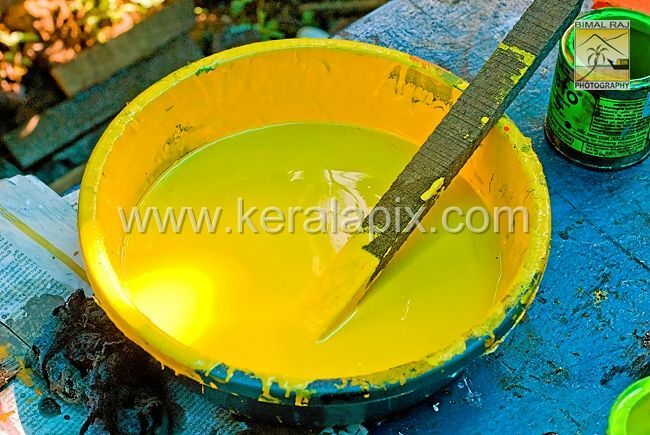 Yellow paint used to create the tiger like look for the Pulikali dancer.